As of right now there are 15,000,000 members. Let’s just say it’s not enough. Statistically we are known as one of the fastest growing churches. But let’s just say there are not 15 million active members. I don't know how much there really are but, I'm positive that it is not 15 million. Why did you get baptized? Where is your testimony and conversion? Are you doing all you can to keep the covenant you made with God? It definitely wasn't a covenant with your friend, or other members, or the missionaries. When you heard the words “receive the Holy Ghost,” you were set; your name was written in the heavens. It’s not something you can erase. It’s a promise to change your life forever, to use the atonement to come back, to strengthen yourself. The very first thing I ask inactive members is why were you baptized? No seriously, why the heck were you baptized, was it a joke to you? Did you feel obligated? Once they know that I'm serious they respond, “Well it is a commandment.” “I know this church true.” Okay now we are getting somewhere. Then I ask what do you think the final judgment is going to be? 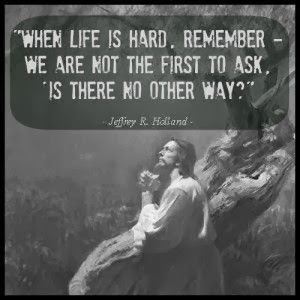 They respond, “well I don't know, no one really knows.” I say,” I do.” I say, “He is going to look me in the eye and He is going to say, thank you, and He is going to let me in.” My goal is to be perfect through the atonement I want to be forgiven for everything. I want to know that at the end of my life I gave everything and more. I hope all of us as members or walking inactives pray tonight and take an extra five minutes after your prayer and listen, truly listen to what he is trying to tell you! We don't have to be perfect to do God’s will. We don't have to be perfect to make a goal and achieve it. I guess a bunch of the time, people just become complacent with who they are, they stop living, stop growing and stop making goals. When we do that it is literally like we are committing spiritual suicide. If we want to be better, be better. If we want to stop committing the same sin, stop doing it. This life is super hard, but He gives us simple advice. Read the scriptures, ask for help and “come and see” on Sundays. When the enemy of your soul, puts in overtime with you, what are you going to do? Have we thought about this or are we still thinking that baptism and going to church is enough? It’s not. 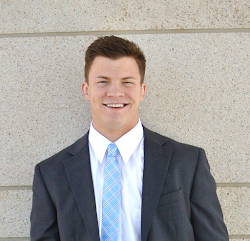 To be straight up honest, to listen to the message that missionaries have is easy. To be baptized for most, is easy. But what catches people is the enduring to the end. How sad it will be in the final judgment when Jesus Christ says, “look, I lived it, I was tempted, I know there is no one that knows your pains and trials as well as I do. I was there. I stood beckoning at the tree of life. I gave you the word of God to guide you. I blessed you with a church to renew covenants. I was there for you every step of the way. What happened? His work is to bring the immortality and eternal life of man. He completes His end of the deal and completes His work. We are the ones that get in our own way of eternal life. A great gift that human beings have is this, imagination. It’s a chance we get to see into the future to see a better self, a better moment in our life, a look at us achieving our hardest goal, our dream. What I guess I am asking is to imagine “you” better, and do the things necessary to make it happen. At times you will look around yourself in the process and it will seem impossible, it will seem there is no help. Remember and live the primary answers. There’s a reason 5 year olds are taught 3 or 4 things!!! I'm off my preaching rant but, do it. Don’t just read it, I want action! So the mission side of things! I don't have changes!! So that's awesome!!! I'm staying in this area another month and a half. Such a blessing from the Lord, I prayed and fasted so much not to leave because I don't want to leave unfinished business! Last week, on Sunday, we had a miracle. My comp and I had 15 investigators in church. The other companionship had another 15 there too. We had 30 people looking and finding out for themselves if this is the kingdom of God on the earth. It brought tears to my eyes to see them learning, progressing, and smiling. I was so happy. My cheeks hurt so bad from smiling, it was out of this world joy! Our zone leaders were absolutely shocked, it was great! I gotta go, write me a letter. There’s something about opening up a letter that is indescribable.